Tarte tatin is my favorite. Hands down, no more to say, drop the mike, walk off stage and leave the building favorite. The first time I had tarte tatin was from The Ivy. A good friend worked there after college and introduced me to the deeply flavored, almost burnt caramel and robust apple of this rustic french dish. At The Ivy, it’s served hot and when that scoop of vanilla ice cream hits it, it turns into the best thing you will ever put into your mouth. 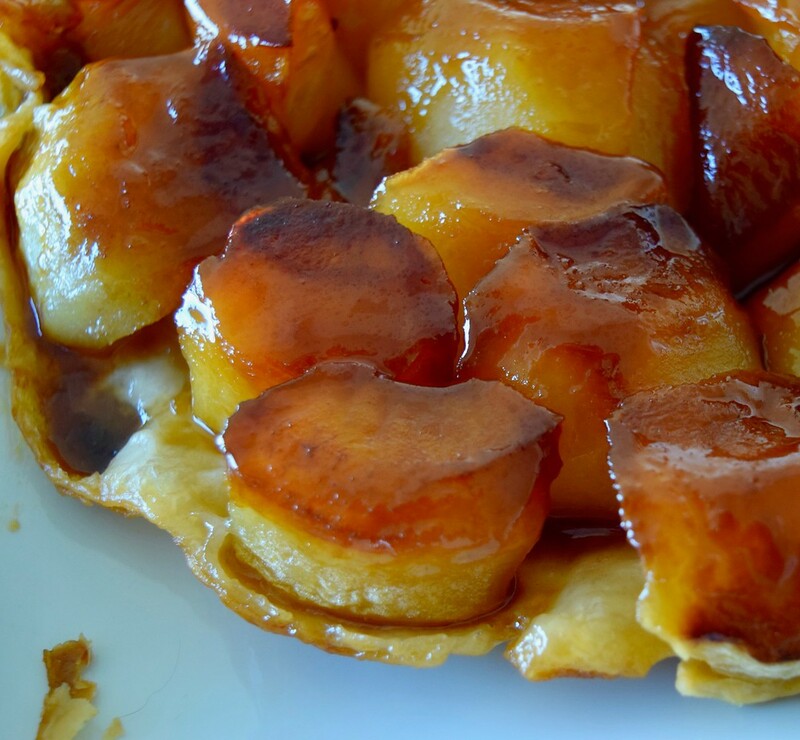 There is quite a bit of mythology around the origins of tarte tatin. The stories agree that it was created at the Hotel Tatin run by two sisters in the picturesque town of Lamotte-Beuvron in central France. From there things get a little hazy but my favorite version is that they were making an apple tarte, forgot to make the crust and so popped it on top of the apples. While the ingredient list is incredibly simple: apples, butter, sugar (a pinch of salt) and puff pastry, it doesn’t seem to get as much love as apple pie. I suspect it’s because it needs to be served fairly quickly after it is done to get the full experience. Left overnight, the pastry goes soggy (but the apples are still delicious. ‘Aint no shame in taste tatin apples and a strong cup of black coffee for breakfast. 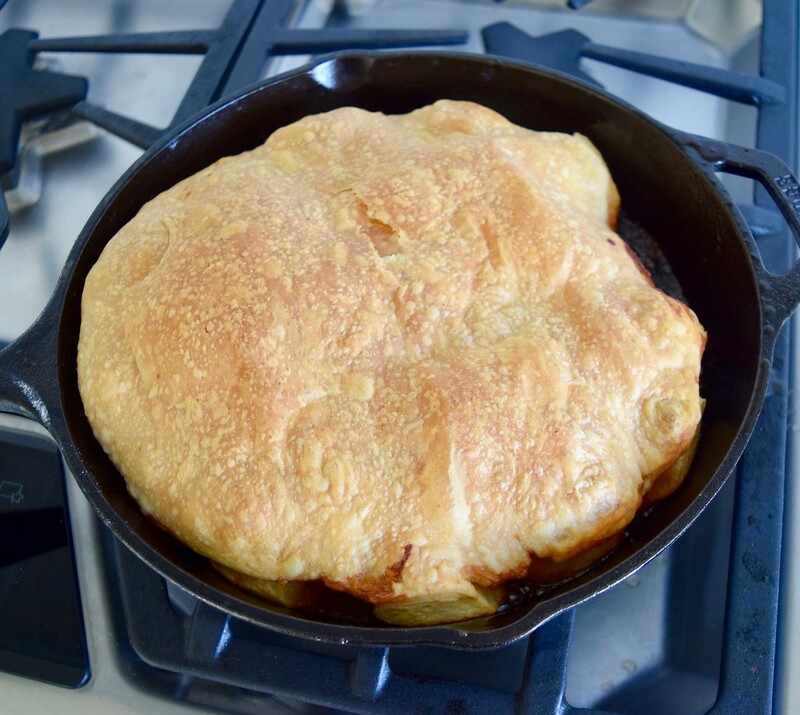 I’ve tried several tarte tatin recipes over the years and my favorite comes from the New York Times. 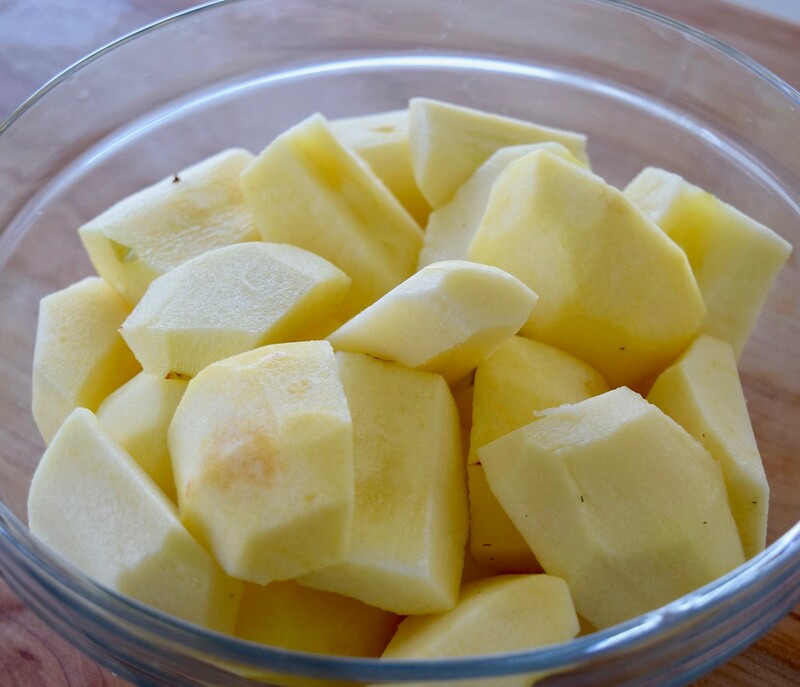 In this version, you peel and quarter the apples the day before and then refrigerate them. This allows them to release some of their juices before cooking, creating less liquid to manage during the stove-stage and ultimately, a richer caramel sauce. 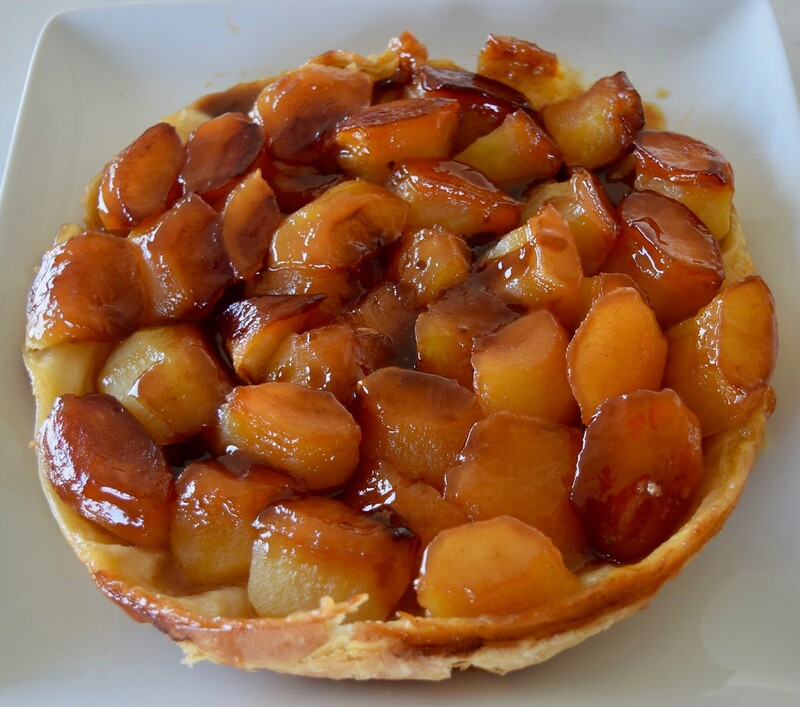 Tarte tatin can be made with all kinds of fruit, but apple is my favorite. 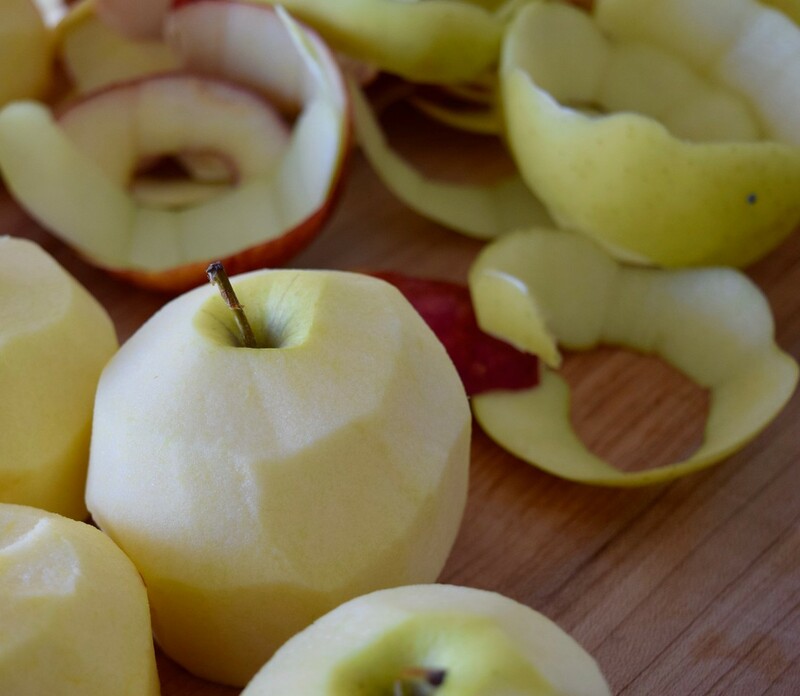 Just like apple pie, the kind of apple you use is up to you. I like to mix some tart (usually Granny Smith) with something a little sweeter. When shopping for this tarte tatin, I came across a new (to me) variety called envy. 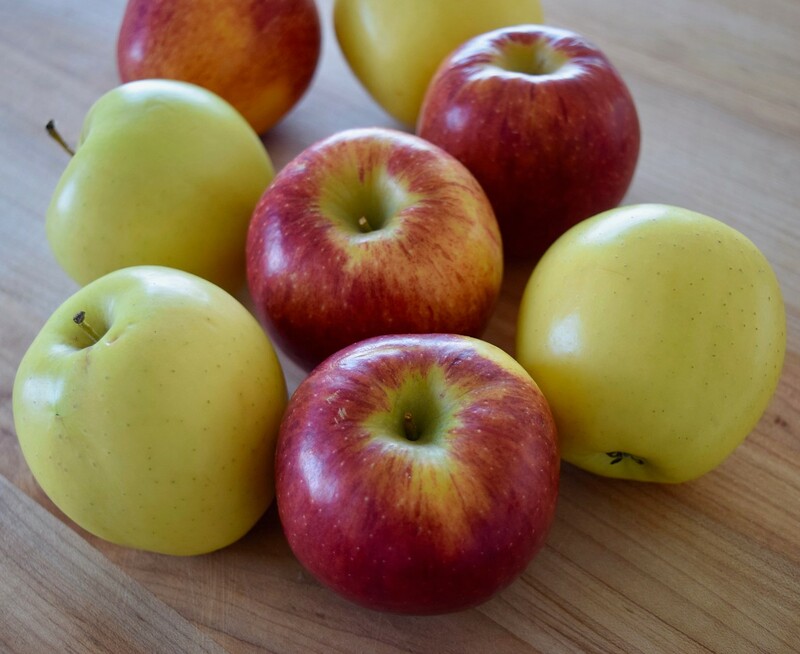 They’re a really delicious eating apple and, because they’re a little crisper than some of the other sweeter varieties, they held up well. 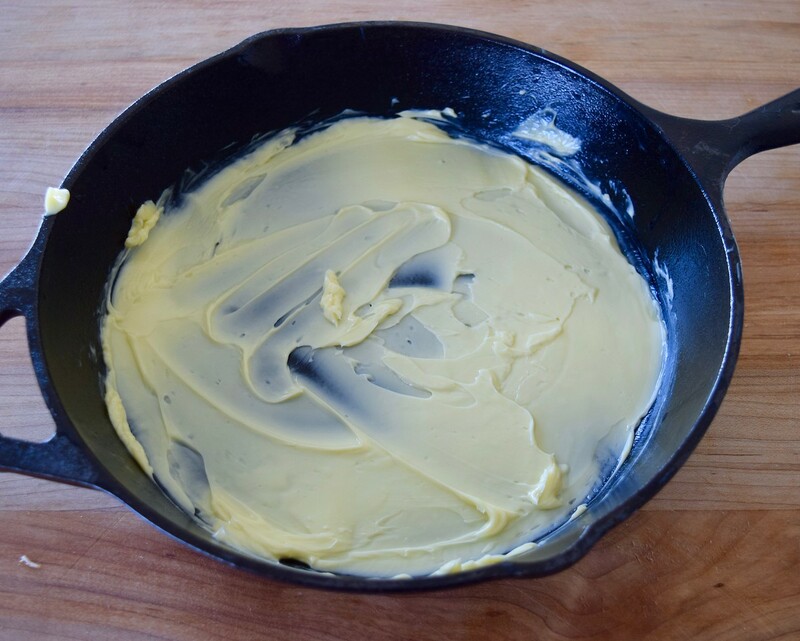 This dish starts on the stove top in a cast iron pan. 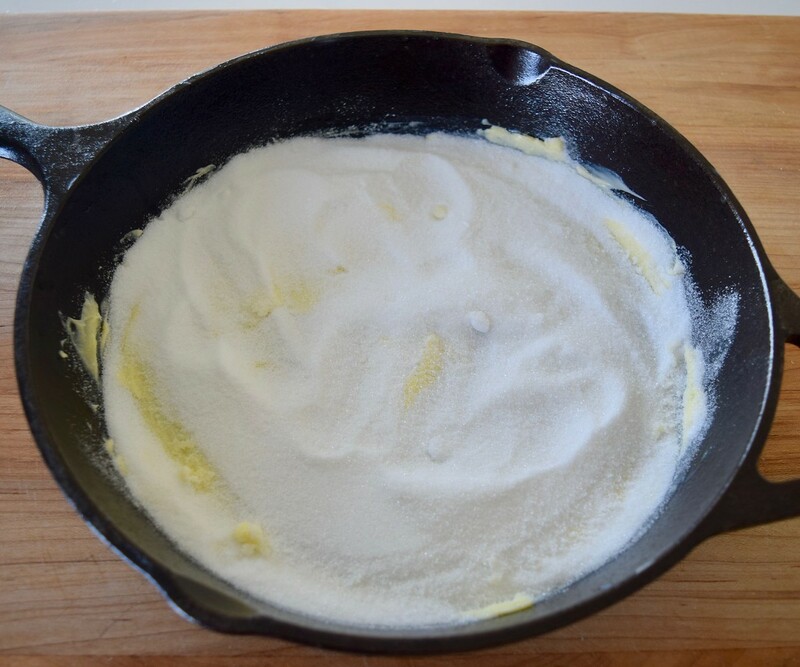 First comes a layer of butter, then a layer of sugar. The the apple quarters are arranged in a rosette. Pack them in as tightly as you can. They’ll shrink. The dish is then topped with either puff pastry or pate sucre. I prefer puff. And yes, this is what we’re doing with the first eight ounces of the rough puff from last week. On goes the heat and in about five minutes your kitchen will start to smell insanely delicious. 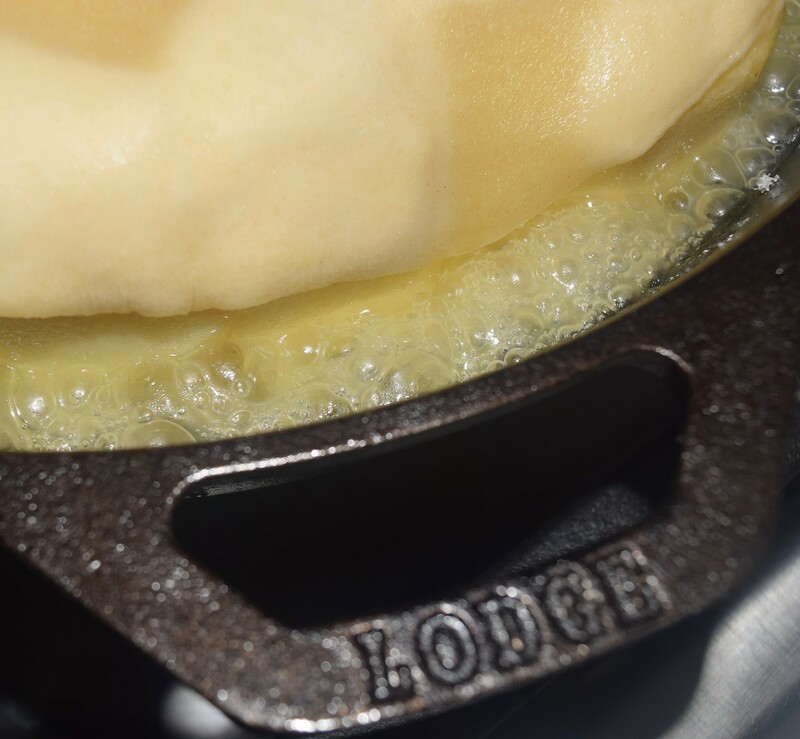 The sugar and butter melt together to create a caramel that the apples cook in until everything is dark gold. Then it all goes into the over so that the pastry can puff and crisp. This is a great dinner party dessert. Have everything ready to go before your guests arrive. 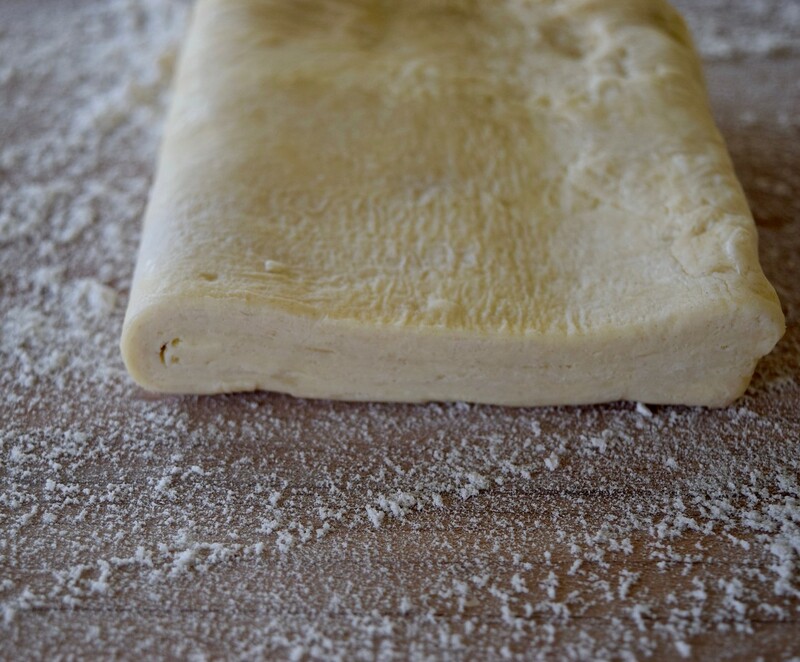 As you sit down to dinner, pop the dough on the top and start the stove. Just as the group is finish their first course, it’ll be time for the oven. Forty-five minutes later, you have dessert. The scariest part of the whole endeavor is flipping the tart upright onto the serving platter. And even that is no big deal. 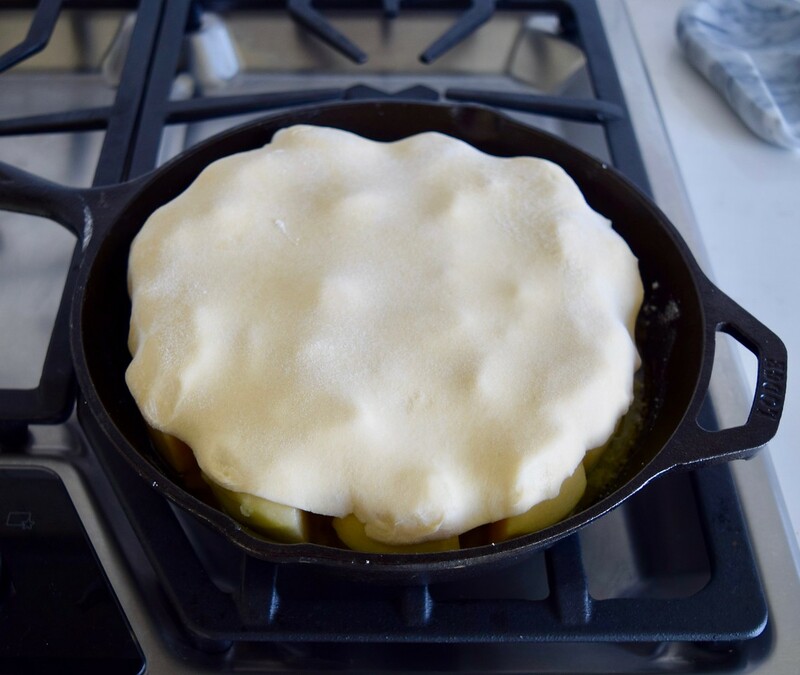 If an apple or two sticks to the pan, just pull them off and pop them back into the tarte. NBG. Serve warm with either vanilla ice cream or a healthy dab of whipped cream. I swear, once you go tarte tatin, there is no going back. Let cool 5 minutes, then carefully turn out onto a round serving plate. (Or, if not serving immediately, let cool completely in the pan; when ready to serve, rewarm for 15 minutes in a 350-degree oven before turning out.) 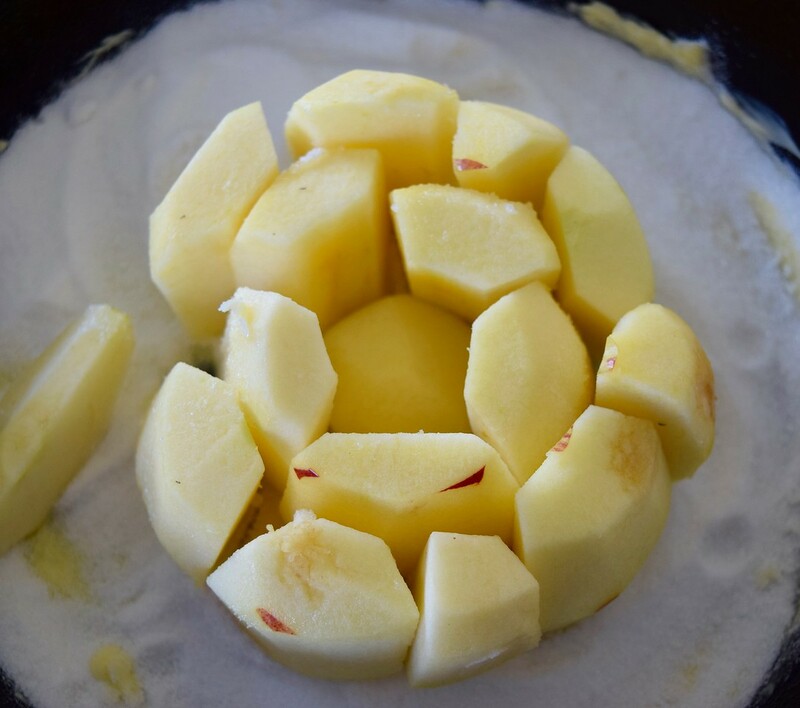 If any apples remain stuck in the pan, gently use your fingers or a spatula to retrieve them, and rearrange on the pastry shell. 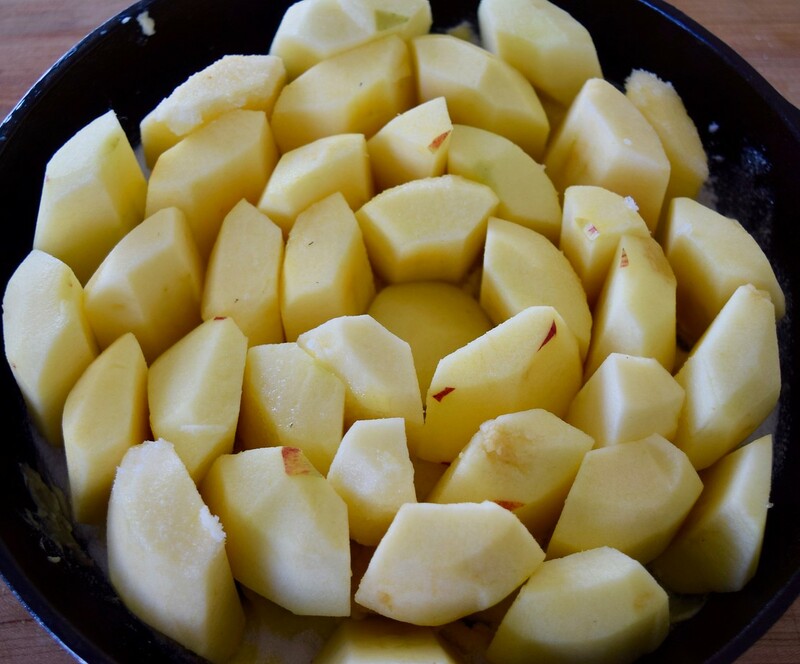 Cut in wedges and serve warm with heavy cream, crème fraîche or vanilla ice cream.